These are items I'm looking for, and willing to pay cash and/or trade for items on my For Sale page and Help Wanted page. I've separated the Timekeeping Wanted and Documentation Wanted into separate pages. I'm always on the lookout for old calculators, especially those built by Hewlett-Packard as well as programmable and scientific models. Instruction manuals, service guides, sales literature and any other related documentation is also of interest. A nearly complete list of calculators in my collection can be found here. Working models are always welcome, but I also try to find broken and incomplete units to use as a source of parts for repair. If you have an old calculator in a desk drawer or stored away somewhere, and it's made by H-P or it has an LED, nixie, or vacuum-florescent display, I'm sure I'd be interested in it! I would also be interested in seeing a TI-70 and/or TI-71 clock. I can be reached via e-mail by clicking here. These are demonstrators and development platforms for early microprocessors from the 1970's. You can see a more comprehensive list of machines I'd like to rescue here. 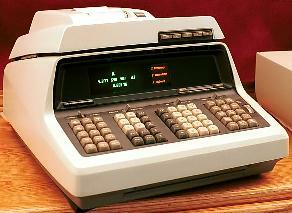 Hewlett-Packard's first programmable calculator, the 9100A, was introduced in 1968. HP soon released an updated model, the 9100B. 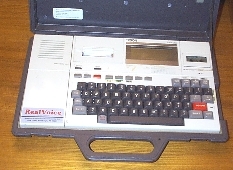 A number of peripheral devices were also manufactured, including a paper tape reader (9104A), plotter (9125A) and card readers (9150A and 9160A). I'm interested in the machines, peripherals, documentation, manuals, advertisements and any other related materials. If you have any of this, or know someone who does, please send me an e-mail! 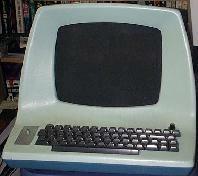 The HP Series 9800 Model 30 (HP 9830, 9830A, 9830B) came out of the Calculator Products Division (eventually renamed to Desktop Computer Division) of Hewlett-Packard in the 1970's. 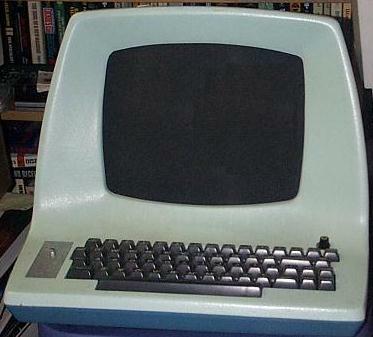 First introduced in 1972, it was programmed in BASIC and had a number of accessories that could be attached by way of interface "boxes" inserted into the back of the machine. I have more information about the machine here. including scans of a four-page technical data brochure. I am also interested in peripherals for the 9830, especially mass storage devices like the 9880A and 9880B removable hard disk drives and the 9867B removable/fixed hard disk drive. The 9880B has two hard drive platters, one permanently installed and the other a removable platter (HP 12869A). Each platter has a storage capacity of 2.4 megabytes. The drive interfaces with the 9830 via a HP 11273B Plug-in ROM block and an HP 11305A Controller. I would especially like to find a Data Communications Interface for the 9830, specifically the 11205A or 11285A. 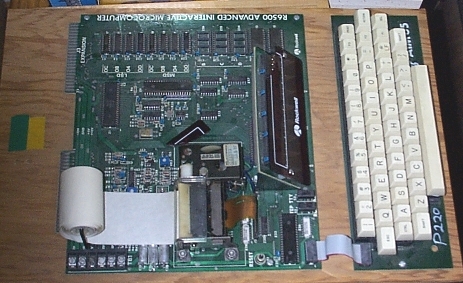 A couple of plug-in ROMs for the 9830, the 11296B and 11298B for Data Communications, provide the 9830 with the capability of communicating with external serial devices. 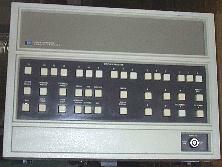 I'd also like the interface cables, like the 11284A Data Communications Interface. 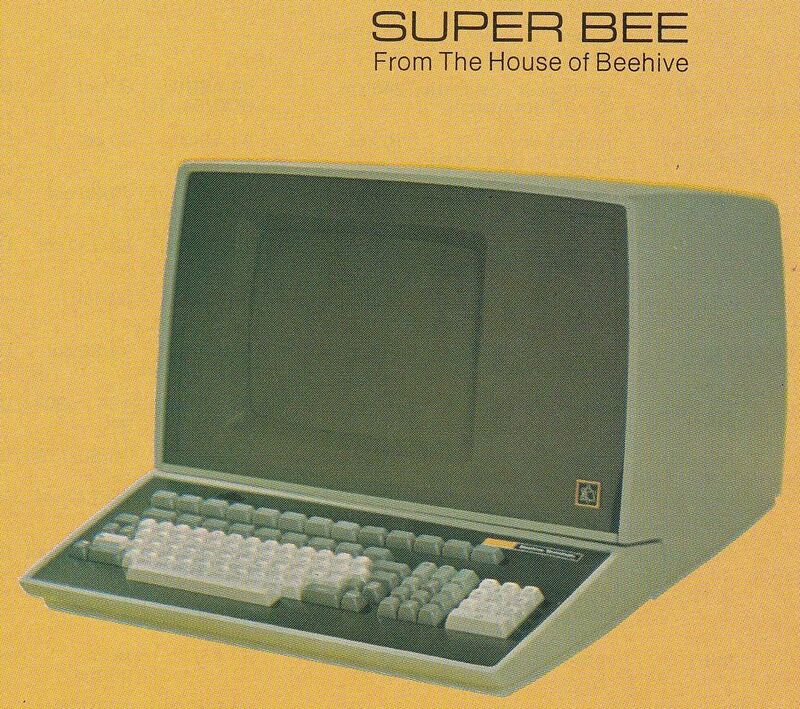 I would also like to find an HP 2615 terminal (actually a Beehive MiniBee) and a HP 9882A terminal, which is an HP 2640A terminal and an interface card to connect it to a 9830. 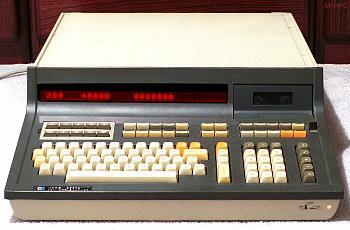 Plug-in interfaces are also of interest, including the HP 59405A HP-IB Calculator Interface Unit. Click here for more patent listings. You can see some print advertisements for some of these calculators and computers by clicking here. As you can see, basically anything in the 9100 and 9800 series, and not just calculators -- peripherals, cables, ROMs, manuals, tapes and so on are also of keen interest. Click here for more information on these interfaces. 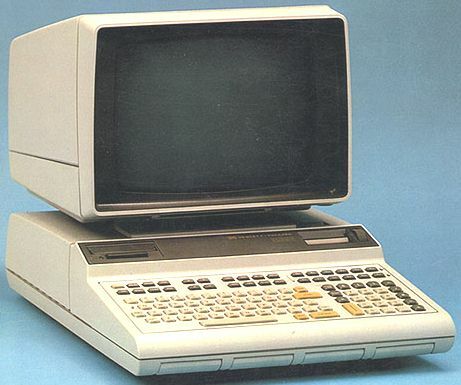 More than 30 years ago Hewlett-Packard sold a series of multi-user computers that could run several different operating systems. The early machines, models 2114, 2115 and 2116 were eventually superceeded by the 2100A and 2100S. Further refinements led to the 21MX. I am interested in acquiring and restoring any of these machines, with an eye toward running Time Shared BASIC (TSB) on one of them. I'm also very interested in any manuals, documentation, and especially software (library tapes, punched paper tape, etc.) for this machine! Peripherals are also welcome, such as the 2737A Punched Tape Reader, 2753A Tape Punch, 2761A card reader, and the 7261A Optical Mark Reader. 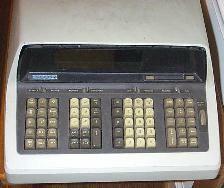 I'm also interested in finding an HP 12909A PROM Writer. I have some pictures of various HP 2100 configurations here, along with further information and links. Heathkit produced several different computer systems over the years, but this one is really interesting. It's essentially a Digital Equipment Corporation (DEC) PDP-11/03 with some Heath-specific modifications. I'd like to find the H-11, the H-10 paper tape reader/punch, and the H-27 floppy disk drive subsystem. An H-9 video terminal would also be welcome. Leads on systems that are just gathering dust somewhere are welcome. I'll give it a good home! I'm also interested in the H-8, which was an 8080-based computer with a front panel. 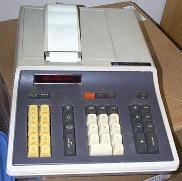 It could also use the H9 terminal and H10 paper tape punch, but had an optional H-17 floppy disk drive as well. The H17 was a dual 5-1/4 inch subsystem. You can see some scanned advertisements for this equipment here. 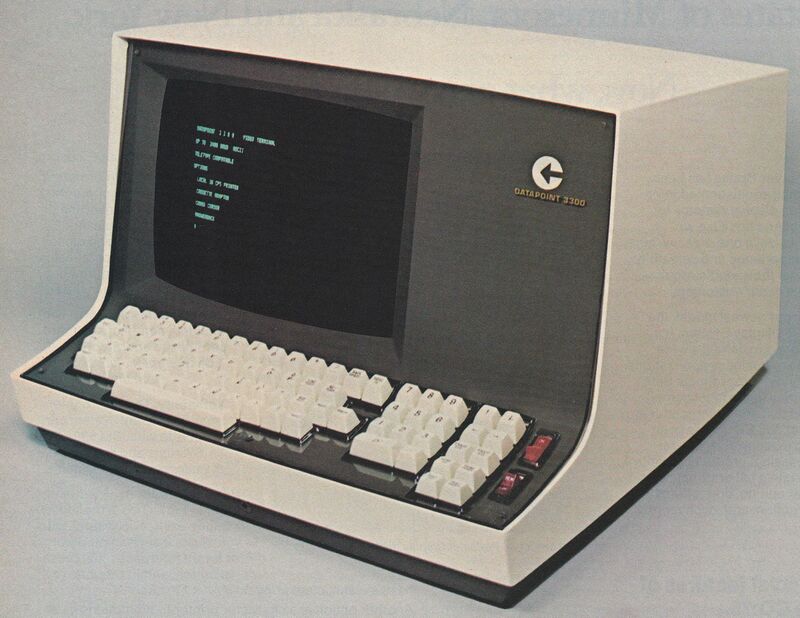 Click here to read a 1977 article about the introduction of the H8 and H11 computers, along with the H9 video terminal and the H10 paper tape reader/punch. A good technical reference, besides the original Heathkit manuals, is a book written by John Lenk entitled How to Troubleshoot and Repair Microcomputers. 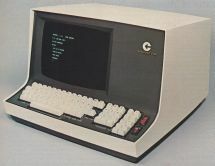 Published in 1980, it devotes several chapters to the H11 computer, H9 video terminal and the H10 paper tape reader/punch. A more informal review of the H-8 and H-9 can be found in the June 1978 issue of Interface Age in an article entitled A buyer's and builder's guide to the Heathkit H8 system. 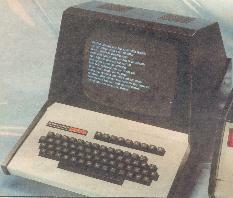 The article was reprinted in the book Personal Computing: Hardware and Software Basics published in 1979. 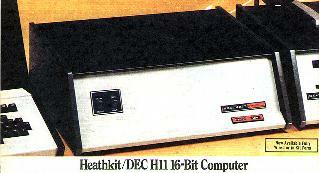 Heathkit produced a number of weather-related kits and accessories in the 1970s and 1980s. I am interested in preserving and restoring the following devices. I am also interested in locating sensors and temperature probes, especially for the ID-1490 and the ID-4001. Does anyone have a source for a replacement outdoor unit (wind speed and direction) for the ID-4001? I'm interested in acquiring old cryptographic equipment, including the M-94 (CSP-885 wheel cipher device), Hagelin M-209 or M-209-A (CSP-1500 mechanical crypto device), Lorenz SZ 40/42, M-138A (CSP-845 strip cipher) or Enigma machines. More on my cryptographic interests can be found here. I have an AST GRIDpad 2390 PDA but it's missing the pen (stylus) and the RS-232 cable. It also came without documentation of any kind. Does anyone know where I can find these items? I'm told this is the same device as the Tandy Zoomer and the Casio Z-7000. Click here for an advertisement from the August 1977 issue of Scientific American magazine. 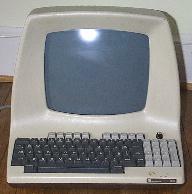 I wrote a few programs using the ITT ASCIscope back around 1980 and would like to find one again. I used it to dial up to an HP 2000 Access computer system. 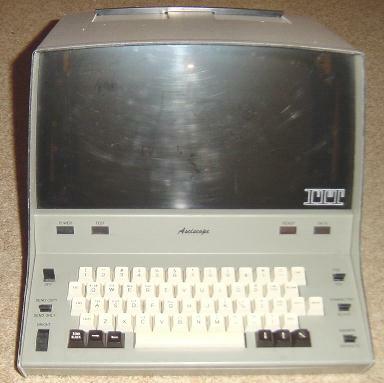 The ADM-3 and ADM-3A terminals were sold in both kit and assembled form and were perceived as a great improvement over the older mechanical Teletype machines typically used as computer interfaces. You can see a write-up about the kit here. 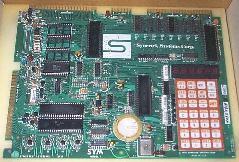 I'm looking for a power supply for a TI SR-22 calculator, model number AC 9222. It provides 5.8 volts DC at 1.2 amps from a 120 volt AC source. I see you are looking for an AC9222. We would all like to have an original but in a pinch I made one for my SR-22 from a CUI Inc. SWI12-5.9-P5R AC adapter. Cut off the plug that comes with it and connect it to an a standard 3.5 mm phone plug. A 5.9V adapter is hard to find but you can get it from Digikey. I have a Heathkit IC-2009 calculator (an early LED design) but I need the two-prong power supply to charge the internal Nickel-Cadmium batteries. I'm looking for a replacement Mostek 3870 CPU, Heathkit part number 444-293-1. This is a 40-pin DIP microprocessor pre-programmed for this clock. Does anyone know of any sources for this old chip? I'm missing the temperature probes for a Heathkit ID-1390B digital thermometer. These probes are a matched pair of 1N4149 diodes (Heathkit part number, I think, is either 100-1657 or 100-1711) sealed inside a little aluminum can with spade lug connectors on the other end of a connecting cable. I have a Heathkit digital clock, model number GC-1107. It seems to work fine and looks fairly good except that it's missing the faux wood trim plate on the front that says "Heathkit." It's also missing one rubber foot. I'm looking for a spare NiCad battery pack for a Magellan GSC-100 satellite communicator. These handheld units were designed to operate with the Orbcomm Low Earth Orbit (LEO) satellite network. The rechargable battery pack provides 9.6 volts in a package measuring 4" x 3" x 1". I'd like to find a working HP 970A probe multimeter with a case and charger. 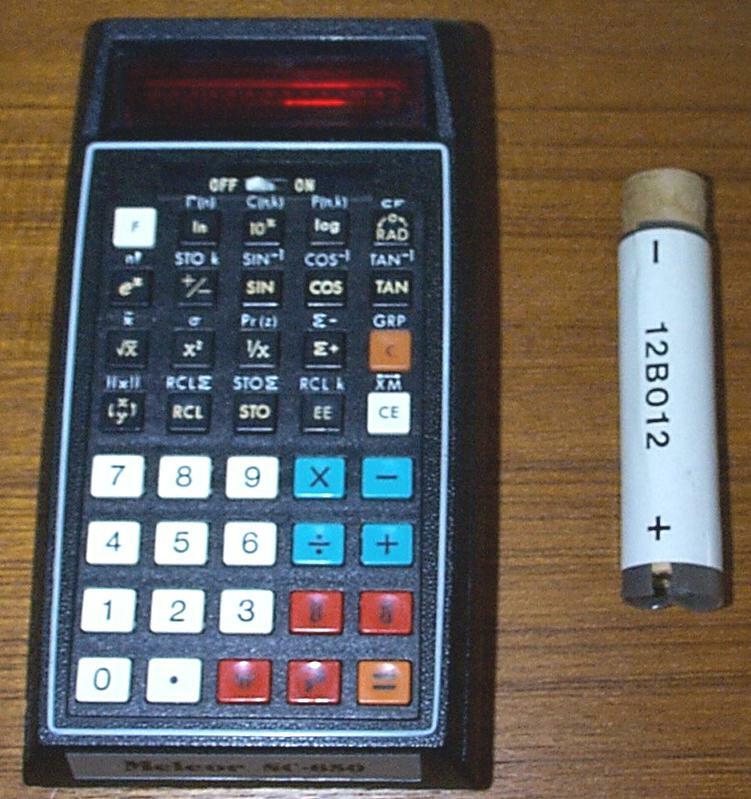 This is a self-contained, battery powered handheld measurement device introduced by HP in 1974. Click here to see an ad for this device from the January 1974 issue of Scientific American magazine. Click here to read a review of the meter from the October 1973 issue of CQ magazine. These are needed to repair shipping damage to an HP 59309 HP-IB clock. I have a Digi EtherLite 162 EIA422 terminal server and am looking for the associated power suppy, Digi part number 76000465. This may also be labeled as a BEC I.T.E Power Supply model AP0431-T12. The supply has a six-pin Molex 09-50 connector that provides +5 volts at (at least) 2.5 amps, +12 volts at (at least) 1 amp, and -12 volts at (at least) 0.3 amps. I'm looking for a Heathkit SB650 digital frequency display, an add-on device to show the tuned frequency of a receiver using Nixie tubes. I'm looking for an AMC Gremlin X automobile. I'd like it to have a V-8 engine and a manual transmission. It also needs to be in reasonably good shape and ready to drive -- I'm not interested in a "project" car. It does not have to be green. While on the subject of cars, I'm also interested in buying a restored AMC AMX, a two-seat sports car built between 1968 and 1970. Obviously this isn't quite in the same league as the Gremlin, but I'd welcome leads on a fully restored metallic or electric blue ("caravelle") AMX, like the one pictured here. You can read a test drive report on the AMX from racecar driver Mario Andretti by clicking here. I picked up an Amiga A2000 but it's the CPU only -- no manuals or documentation, and worst of all no keyboard. I'd like to power this thing up and check it out but I need the keyboard for the A2000. 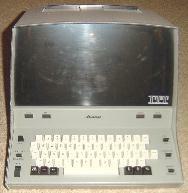 The HP 98155A is a keyboard that works with the HP 9915 industrial computer. I have a computer that needs such a keyboard. If you have one of these keyboards that you'd like to part with, please send me an e-mail! I'm looking for an AC adapter for an Epson HX-20 laptop computer. According to the label on the back of the computer I need model number H00AAA. For more information on the HX-20, click here. 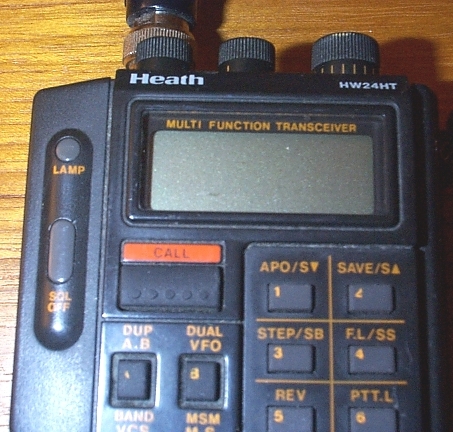 I purchased a used Yaesu FT-470 handheld transceiver at an estate sale but I need a charger for it, maybe an NC-37 Drop-in Quick Charger or a PA-6 Battery Eliminator. Any leads on a good place to get one? 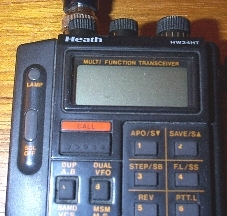 I have a Heath HW24HT handheld transceiver but it came without a charger, so I'm looking for the AC adapter. Any leads? 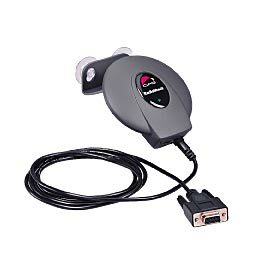 I have a couple of Motorola Remote GPS units (part number RWPRF12104) and am looking for the mating connector. The unit has a Deutsch MMP 21C-2212P1 locking connector, which has twelve pins. I'm looking for the connector that mates to this one. According to the Deutsch numbering scheme, I'm looking for a MMP 26C-2212S1. Apparently this is made up of a molded backshell (6810-204-2001) and a dozen sockets (6862-201-22278). Does anyone know of a current source for this connector? 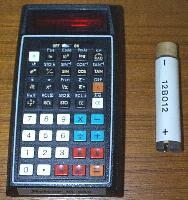 This Melcor SC-650 scientific calculator uses a cylindrical rechargeable battery that needs to be replaced. The battery is labeled 12B012. Any ideas on where to find a replacement? 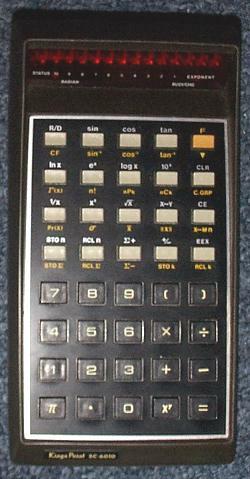 I have this calculator that I purchased sometime in the 1970's. Just today I pulled it out of the desk drawer and took the back off to see what type of batteries it had. The only thing I had to go on was the number on the pack (12B012). I did a Google search and came up with zilch; however, I slipped the pack out of the cylinder case and did some measurements. It appears that two NiCad size 4/5A cells would work since the size is identical. You would need two of these single cells and simply slip them into the Melcor outer case (in series) then place them into the calculator. I have not tried this yet, but I do intend to try it when I can get my hands on the 4/5A cells. Size, voltage etc. seem to be identical. An Internet search of 4/5A NiCad battery will bring up multiple sources of this cell. I'm looking for an AC adapter (charger) and perhaps a replacement battery for this Kings Point SC-6010 scientific calculator. Of course, a manual would also be nice. Any ideas on where to locate accessories and spare parts? I have a Synertek SYM-1 development board but it's missing the power connector. You can see more photos of the SYM-1 and a pin-out for the board connectors here. In the 1970s, Estes Industries sold the TRANSROC, a small radio transmitter designed to fly in a model rocket. You can read more about the TRANSROC here. 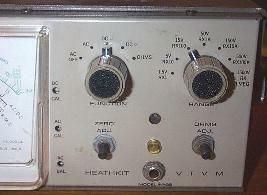 I have a Heathkit IM-13 and an IM-28 vacuum tube voltmeter (VTVM) but both of them came without a probe. Does anyone a spare probe, or a lead on where I could get one? I have a Morrow LCA-3450 LORAN-C receiver but no cables or technical documentation. I'm looking for power and interconnect cables, or at least pin-out information. I'm also looking for the recommended Morrow T-18 or T-34 antenna coupler. I have a pair of Honeywell fiber optic RS-232 link modules (HFM5005) and am looking for two SPX5131-001 power cubes. These are "wall warts" that provide DC power to the module. The SPX-5131 comes in either a 115 volt (-001) or 230 volt (-002) version. I am looking for the 115 volt (SPX 5131-001) version. I have at least two Radio Shack DigiTraveler GPS receivers, part number 20-1601. I'm looking for the data cable that connects to the modular plug on the back of the receiver. This would be, basically, an RJ11 plug to a DE-9 connector. Inside the unit is a Sony GXB2000 16-channel GPS receiver. Although most LORAN stations have ceased operation, I am interested in old microprocessor-based receivers, including the MicroLogic ML200. I have a Tandy 1400HD laptop but it's missing the AC adapter power supply. Does anyone have a spare AC adapter they'd like to get rid of? Does anyone have a source for connectors that fit the expansion ports on the HP 5036A Micro Trainer? These are edge connector for 3/32" thick board (.09375), 44 Pin, 22 Position. 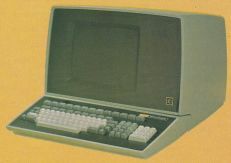 I'm looking for the following items for the Tandy Radio Shack TRS-80 Model 100 laptop computer. I'm also looking for a battery cover for a Model 100. The price was quoted at $5 each, minimum of 3 plus $6.95 shipping USPS 1st Class. Click here for the for sale page.